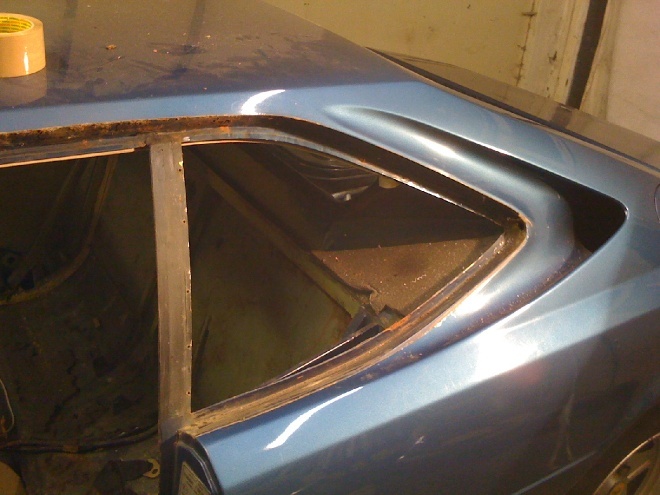 The rear quarter lights came out quite easily after drilling out the five rivets that hold the window in place. 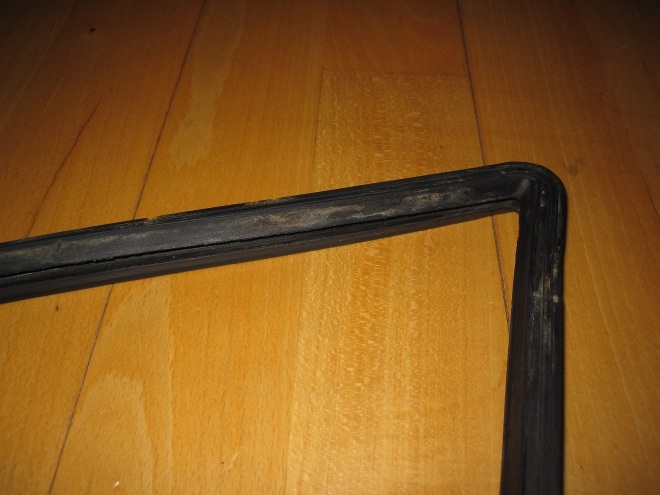 Unfortunately the lower mitre bolts were seized into the lower frames and had to be ground out. 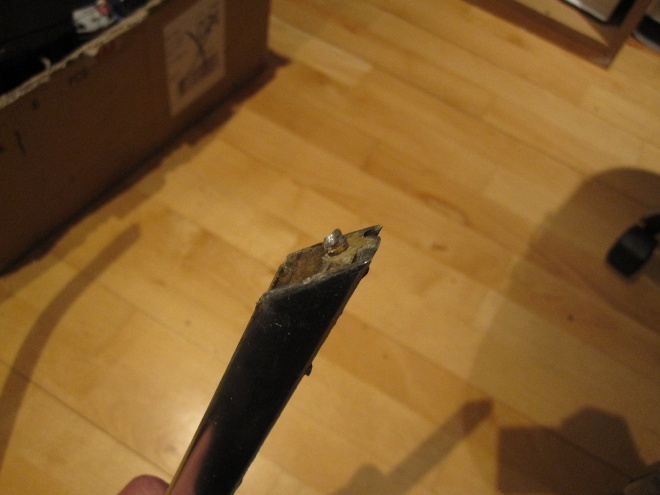 Even worse, one of the retailing holes on a frame broke off. 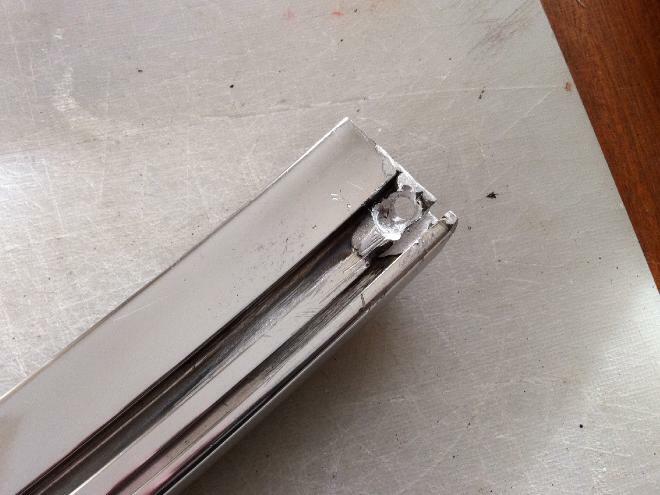 I had to get two new bolts and nuts made and the broken frame welded up and drilled. The glass retaining rubber seal had paint overspray and ingrained dirt on it. A quick coating and wipe off of paint stripper (Nitromors) softened the rubber and a coat of Armor All made the seal look like new. I got new outer rubber from Eurospares. 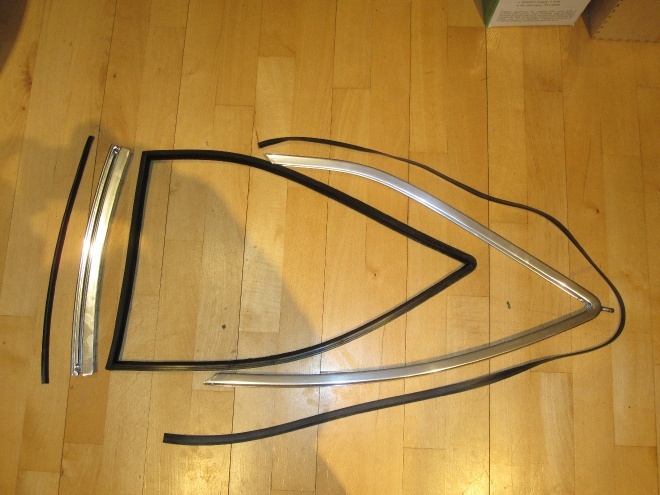 Before and after pictures of the glass retaining seal. 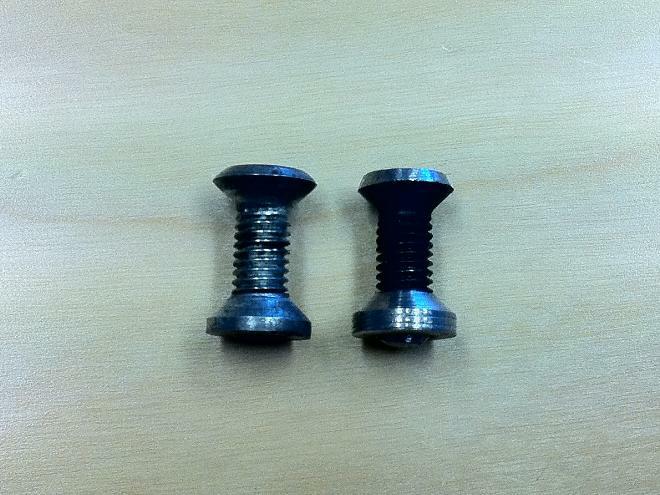 Seized bolt and picture of original bolt and nut on the left and one I had made on the right. 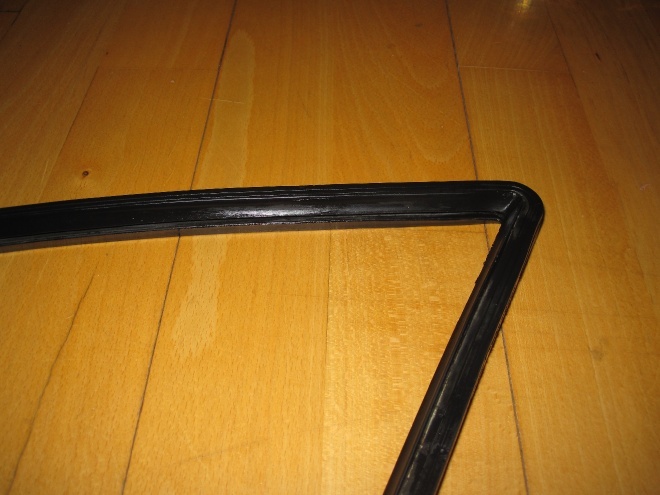 The window frame and rubbers. The location rubber that covers the pin on the right is missing from the picture.